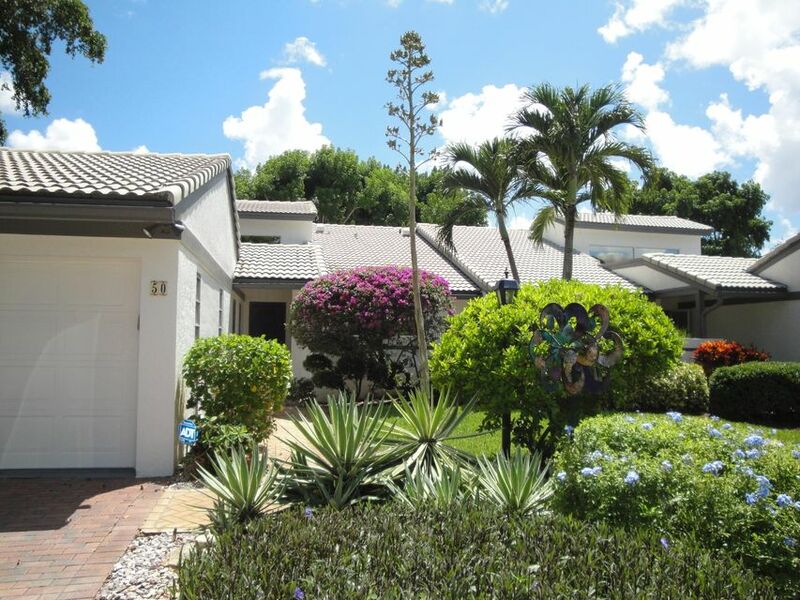 Beautiful Trees Line The Streets Surrounding This Lovely 2 Bedroom, 2 Bathroom Villa. 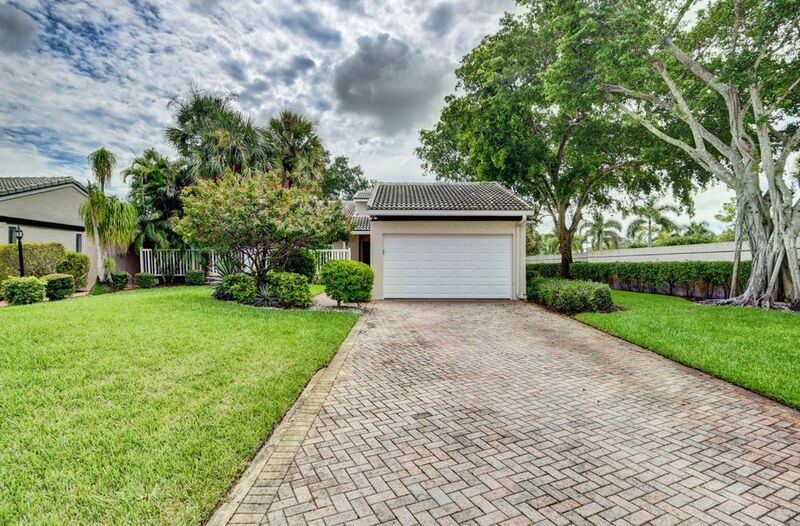 This Spacious Unit Is Nestled On A No Through, Quiet Street In The Center Of Boynton Beach. Just Steps Away From The Clubhouse, Extra Parking & Community Pool! Minutes From Shopping, Restaurants, Beach, Everything! This Home Is Meticulously Clean! The Kitchen Has Beautiful Dark Wood Cabinets, Light Countertops & White Appliances. Bedrooms & Living Areas Are Light and Bright! Pet Friendly (Some Restrictions Apply). No Lack Of Natural Light In This Home! Roof Is 3 Years Old! Large, Grassy Area Behind Home. Low HOA covers: Cable, Common Areas, Insurance-Bldg, Lawn Care, Maintenance-Exterior, Pest Control, Roof Maintenance, Sewer, Trash Removal & Water! Don't Wait! Schedule Your Private Showing Today!